My vehicle was towed away from an apartment complex and I live there, how can they do that, it’s my car! Why did that happen? No vehicle shall at any time be in a state of major dis-assembly, disrepair, or in the process of being stripped or dismantled. The owner of the vehicle and the owner of the property are responsible for preventing and correcting these violations. My vehicle was impounded from private property. How do I find out who has it and how do I reclaim it? Check to ensure your vehicle was impounded, not repossessed or stolen. If the parking area has towing signs posted, call the company listed on the signs. Otherwise, contact the property owner, manager or leasing office to find out if they requested the impound and what company they called to do the tow. If you still aren't sure, call Louisville Metro Safe at: 502 574-5673 or the Kentucky State Troopers, depending upon whether your car was towed inside or outside the Metro City limits, and ask if your vehicle was reported as an impound. This link may be helpful: http://louisvilleky.gov/government/police/services/get-towed-car-information . Sherri Lynne’s Towing always notifies law enforcement (Metro Safe) when a vehicle is impounded from private property, so too do all reputable towing and impound services. If the police have no report that your vehicle has been impounded, you should probably report it as stolen. Once you determine if your vehicle has been impounded, and should you discover that the tow was done by Sherri Lynne’s Towing, contact us directly at 502 883-8284. There usually isn’t much point in arguing the legitimacy of the impoundment. Few companies, including Sherri Lynne’s will jeopardize their business by illegally impounding a vehicle. 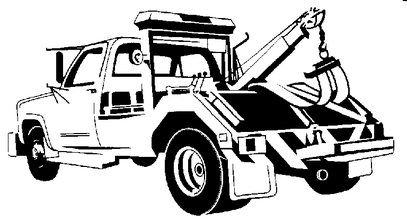 A towing company must have authorization from the property agent to impound your vehicle. If you do not believe you were improperly parked, that is a civil dispute between you and the property owner, manager or agent. When you call, the towing company that has impounded your vehicle will tell you when you can reclaim your vehicle, and what form of payment is accepted for the impound fees. Most companies, including Sherri Lynne’s will release impounded vehicles outside regular business hours, but they may also charge you an “after hours” fee for this. Although “after hours” means exactly that, Sherri Lynne’s seldom charges after hours fees unless the “release time” is after 8:00 pm, realizing that people do work, do have work hours and may need to obtain transportation to our facility. We try very hard to be courteous, flexible and as helpful as possible. There are few laws in Kentucky that protect owners and their vehicles in private impound situations. Kentucky law takes a very strong position protecting property rights, and that includes allowing private impounds as one way to protect the property owner from unlawful use of their property. Unfortunately, this means that each and every towing company can develop their own process, and prices, for returning vehicles to their owners. At Sherri Lynne’s Towing, we’ll try to make that process as smooth and simple as possible. We know how important your vehicle is. We perform every tow with the utmost care, and secure impounded vehicles inside a locked gate under video surveillance. We do our best to reconnect owners with their vehicles as soon as possible. We cannot “undo” an impoundment, or allow a non-owner to pick up a vehicle from impound, or make it cost less, nor will we discuss in depth, or argue about the “right” or “wrong” of your vehicle being impounded and towed. We never tow a vehicle without the proper and legal authorization required to tow that vehicle. Nevertheless, we can be helpful, available, and courteous. We believe that no vehicle owner deserves any less. If Sherri Lynne’s Towing has impounded your vehicle, please call 502 883-8284 so we can start the process of reuniting you with your car. Why Is Impound Towing So Expensive ? Another reason is less competition. For an everyday tow from here to there, every towing company around is in direct competition with every other towing company to offer the customer the best price. This keeps general towing costs down to their absolute lowest limit that allows the towing companies to keep operating. This is great for the customer, but not so great for the towing companies that struggle to stay in business. – – Not all towing companies are equipped to perform impounds. When there is less competition in any market, the price goes up. The police and property owners choose what company to call when they need an impound, and price counts…but not as much as getting the job done. Finally, impound work costs a lot of money. Towing companies that perform impound work must be willing to gamble a little and spend money and labor on the hope of making money. The impound tower knows that business and property owners rely heavily on impound services, but he/she also knows that each impound is a gamble that may never get paid for. Many impounded vehicles are absolute garbage. They get left somewhere because they died, were wrecked with no insurance and abandoned, or so junky that their owners can’t be bothered to claim them. Another very common reason vehicles get impounded is that the owner no longer wants their car, and they don’t know how to dispose of it properly, or can’t be bothered. So they just abandon it. Although deliberately abandoning a vehicle is illegal, impoundment has unfortunately become the simplest method for residential property owners and managers to deal with the huge number of abandoned vehicles, and those vehicles on their properties which are in violation of Metro regulations, such as expired license plates, persistently flat tires, significant oil leakages, parked in the grass, in fire lanes and handicapped parking. This means that a towing company with an impound yard spends a great deal of time and money hauling away these vehicles, often for little to zero return. Since so many impounded vehicles are not redeemed, the towing company makes no money for those tows, and generally ends up paying out monies to comply with statutorily required notification and advertising requirements before being able to legally dispose of the unclaimed vehicles. Vehicles that do have some value may be sold at public auction, but those dollars rarely cover all the costs the tower has incurred. Consequently, the towing charges against the vehicles that are reclaimed must be set higher to offset some of the overall costs of providing impound services in the first place. Even so, it can still be a losing game. Despite misconceptions to the contrary, towing companies are generally not getting rich from towing and impound fees. The bottom line: All towing is expensive, no matter what. Impound towing is even more expensive for a towing company than regular towing, and that cost is passed to car owners. The fees charged by private towing and impound companies cannot reasonably be compared to those fees charged by a municipal government agency which uses citizen owned towing equipment, storage facilities, office equipment and personnel. Any specialty towing, such as recovery towing, emergency towing, or impound towing, will always cost more than an everyday tow from your driveway to the repair shop. How much more depends on the company, and how much it costs them to provide the service over the long term.